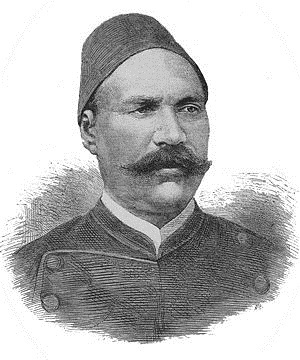 While researching material on a Zagazig notable who was a diehard supporter of Ahmed Orabi Pasha in the latter's quest for independence from foreign economic dominance in 1881-2 , I decided to pay a visit to the Orabi Museum in Sharkiya. Now I wish I hadn't. The Sharkiya Museum also known as the Mathaf Orabi was inaugurated a few years ago in the village of Hawiyet Razna four kilometers from Zagazig, off a narrow two-lane road that leads into the town of Fakous. Hawiyet Razna was the birthplace of Orabi so I suppose this is why the museum was erected there. The building itself belongs to the architectura socialistic school—no soul, no taste, accelerated depreciation. It is surrounded by a sorry excuse of a garden and while the marble lined entrance is quite large, the main hallway is bland and uninviting. Upon arrival one is greeted by a herd of obese veiled women seated around a large rectangular table. They are the stereotype one runs into at every public service building—notary public, passport bureau, post office etc. It was difficult to guess who was actually in charge. Finally, one of them sold me a LE 1 entrance ticket, only the ticket book wasn't in the drawer so "Please collect it on your way out." I was the only visitor that day or so it seemed. Obviously I must have interrupted an animated discussion for as soon as I turned around the cacophony, which only the simultaneous talking of eight women can produce, instantly resumed. I noticed a few children running about. They belonged to some of the women employees; school is out and since they cannot be left alone at home it's the museum this summer for the little ones. But behold an anti-climax awaits you. What is supposed to be Orabi's Hall of Fame turns out to be a Hall of Shame. The place is devoid of anything that describes, educates or elucidates the visitor on WHO is Ahmed Orabi. Apart from three pathetic murals, probably the result of some primary school project, plus a dozen black busts representing Orabi's co-officers, there is little else. Oh, I almost forgot, there are also eight poor quality black and white pictures hanging on the wall of the dark passage leading into the Orabi Hall. They depict Alexandria after its bombardment by the British and the Orabi trials that followed a few months later. Next to the photos are several Xerox copies of the trial transcripts (part of them). Since they are handwritten in the Arabic used then, it is difficult for adults, let alone school children forcibly brought here during school year, to comprehend. As for reading material books, postcards, brochures on Orabi or the museum itself, don't dare ask, or they (the eight ticket ladies) might think it is YOU who should be put in a museum or better still, a sanatorium. The other ground floor hall is dedicated to ancient archaeological finds discovered in Sharkiya. Hardly any corresponding literature there either. The upstairs floor is dedicated to arts and crafts once again giving the impression that a second rate secondary school has once presented here and forgot to retrieve its exhibits. On my way out I again 'interrupted' the ticket ladies who had increased in numbers (friends visiting perhaps?) 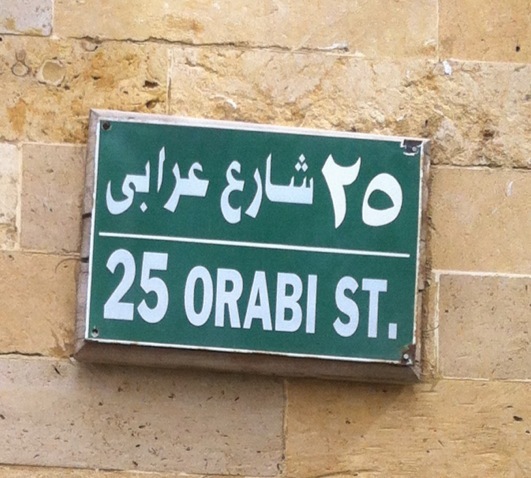 and asked them "Where is Orabi’s house?" Instead of directions I received a collective blank stare just before one of them uttered an intelligent reply: "Ask the curator, he will tell you, only he just stepped out to attend a relative’s funeral. He'll be back in a few hours (giggle giggle). Can you come back tomorrow? (chorus giggles)"
I remember recently visiting a small national park outside Sydney, Australia. One of its attractions was Skippy the kangaroo. By the time we left we had a pretty good idea about Skippy’s eating, sleeping, breeding habits; his likes and dislikes. 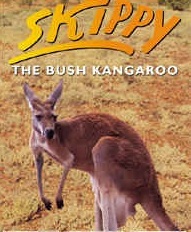 We also learned of Skippy's detailed pedigree, his achievements and his failings. And for those who were unable to read, there was a video display. For those who couldn't see there was a live kangaroo Skippy look-alike to feel, feed and caress. On your way out you were drawn into a lovely souvenir boutique displaying Skippy postcards, t-shirts, stuffed Skippys, Skippy coloring books and Skippy caps. It came as no surprise that night in my hotel room when I dreamt of Skippy. I wonder if Orabi could see us today. Would he have been so fervent a nationalist? Or would he have gone to Australia where they are proud of their young country, its heritage and yes, its kangaroos.